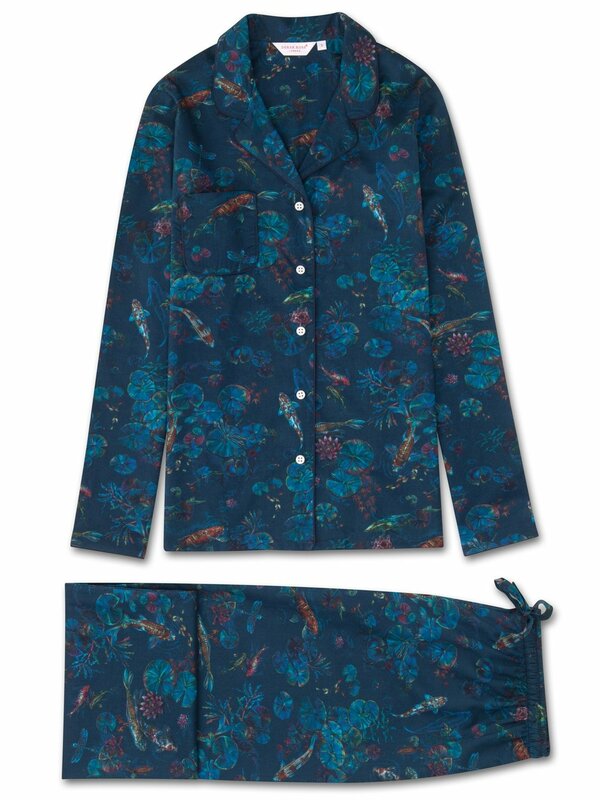 For a stylish sleepwear must-have, the Ledbury 13 women's pajama set features our hand-drawn print of the season utilising a dark green background to offset the colorful, inky illustrations of koi carp swimming amongst the lily pads - traditionally a symbol of luck and prosperity in Japan. Made from our signature cotton batiste, the Ledbury 13 jacket features a fully piped finish in a navy trim, a single patch pocket and mother of pearl buttons. The quality of craftsmanship continues with the pants and their elasticated waist with self fabric drawstrings for added comfort. A firm favorite of our customers for its breathability, lightweight properties and luxuriously soft feel, our cotton batiste fabric has become a signature of Derek Rose quality. 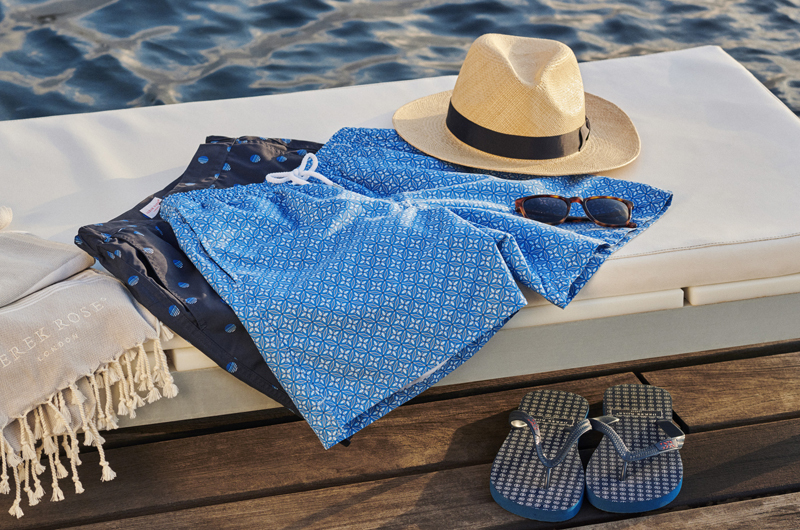 A dream to lounge or sleep in, our PJ sets are also perfect for travellers and vacationers, as they're not only comfortable in warm climates, but also light to pack and easy to carry.